It's been a busy few months with a recent relocation to New Zealand impacting on time I thought I’d have to post on this site - so, a quick post out of conversation with a fellow traveller on the flight to Melbourne. After being asked what I occupied my time with career-wise, I faced some questions about his website and its apparent ineffectiveness as a sales or service platform (as a UK retailer). We looked the site up while waiting for flight connections and quickly went through. slow loading pages; large overhead of scripts etc. However, it was a lack of awareness around copywriting for the site - its effectiveness, its consistency that inspired this post on the language of search. It's difficult to reach out to people if you cannot connect with them. Online, this is done in a variety of ways including building compelling, focused visual narratives and content with inherent social ‘share-ability’, to providing services, products that users need with clear avenues to engagement with them. At a very basic level, one of the ways we interact is through labelling on our sites. It is widely known that users rarely read online as much as you may like them to, but instead are incessantly seeking goal completion opportunities, places for discovery that offer value, immediacy in opportunity and ease in interaction. 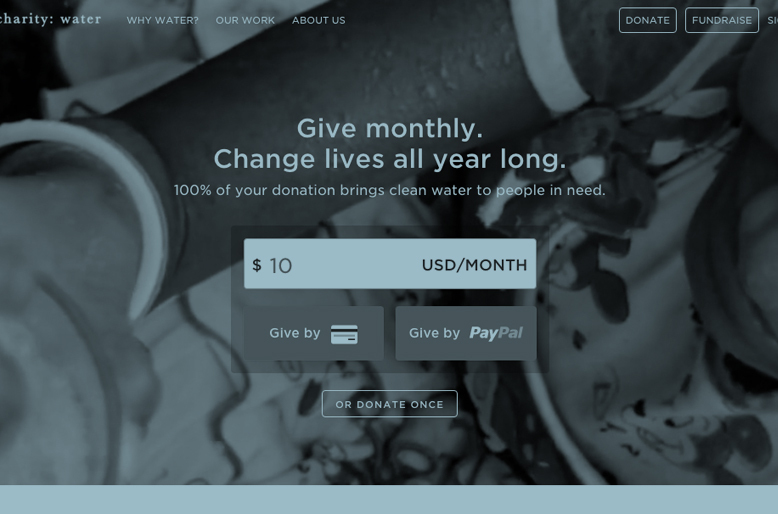 The Charity Water site uses clear calls to action labels and compelling, concise copy. The most effective text content online uses ‘labels’ - buttons, headings, sub-headings, menu items etc. - all elements that enable us to search easily, scan effortlessly and do the needful quickly when interacting with products, services. When building your platform online, you need to start with a concise, consistent labelling system for your online content - what are the key calls to action to promote throughout your site, how will you label these? Is your labelling language the same as your users?….if not, you need to change the copy you use to align with the terminology of your users as much as possible. "...users rarely read online as much as you may like them to...and are incessantly seeking goal completion opportunities, immediacy in opportunity and ease in interaction"
A good way of doing this is talking to users - using surveys, workshops, user studies etc. 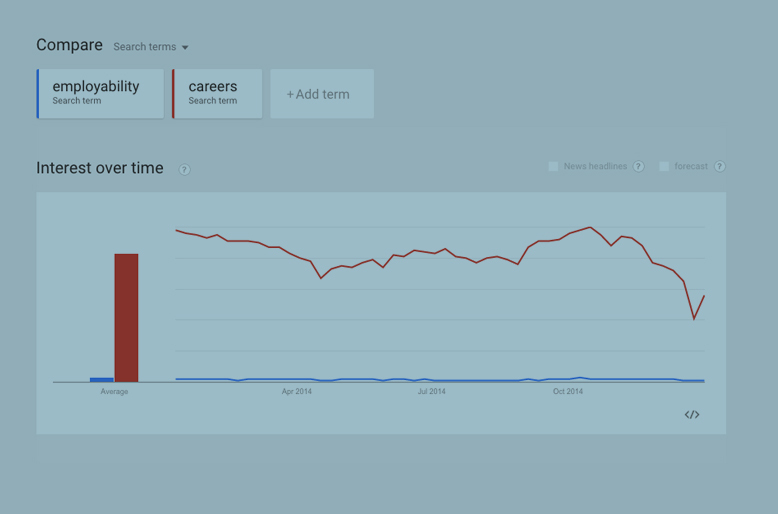 In a context of limited resourcing, one can use free tools such as Google Trends to examine popular terminology terms used by your users - filtering by location, category etc. For example, a university using ‘employability’ as a heading for a tabbed information area under course details page would reconsider using data findings such as these showing trends over time and location. category etc. As well as Google Trends, you can look at search query terms via Google Analytics, and explore the language of your users. These just some of the starting points in building an engaging labelling framework with which to build key content interactions.